ZHEJIANG SHENGHONG MECHANICAL CO., LTD. locates in Wenling City, Zhejiang Province, where new century the first ray of the dawn shines in Mainland China. Our plant of floor space has 30,000m2, building area of 28,000m2. Our Company is National High-Tech Enterprise which professional in varieties like aluminum die casting and right angle gearbox from R&D, mold design, production and sale. After 50 years of the development and accumulated accomplishment, we have an unique SHENGHONG enterprise culture. We have the variety of 160T-950T die-casting machines, automatic aluminum melting and feeding system, CNC machines, NC lathes, spectrograph, CMM, contrassor, computer leaking test instrument, Gear box power test machine and other progressive manufacturing and measuring equipments. Our pneumatic component, NF housing, Dedust housing, auto throttle body, power steering pump body, auto water pump housing and other aluminum die casting parts, right angle gearbox which are used in field of pneumatic auto-control, explosion-proof, environmental protection, auto and agricultural machinery. 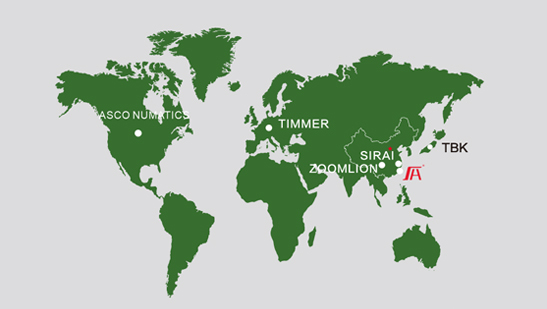 Our company has became to ASCO NUMATICS, Germany TIMMER, Japan TBK, ZOOMLION ZHEJIANG CO., LTD. and other renowned national and foreign reliable cooperation partners. With excellent quality and prefect customer service, we have nominated by customers as "excellent supplier" for many years. We have a new product development team with professional and technological innovation that can design and manufacture all kinds of casting tools by ourselves. We pursue the quality policy of 'CUSTOMER REQUIREMENTS AS STANDARD, CONTINUE INNOVATION FORWARD', strictly follow with ISO9001 system standard to control parts quality, with lean production throughout the whole manufacturing processes. Our company was awarded as"ZHEJIANG PROVINCE OBSERVE CONTRACT AND KEEP PROMISE ENTERPRISE", " ZHEJIANG PROVINCE HIGH-TECH ENTERPRISE" , "TAIZHOU CITY SAFETY CULTURE ENTERPRISE"， "WENLING CITY FINE MANAGEMENT ENTERPRISE", "WENLING CITY IMPORTANT INDUSTRIAL ENTERPRISE" and so on for consecutive years. Also, We acquire country qualification as "EXPLOSION PROOF ELECTRICAL PRODUCTS PRODUCTION LICENSE". In September 2015, our company were honored with the title of National High-Tech Enterprise. "Never forget why you started and work hard to press ahead".,The whole SHENGHONG company people is standing on starting point of enterprise developing, that abides by integrity, cooperation, develop, win-win management idea. We will do our best to reform and innovate that commit to form "seamless, flexible, personalization" production system, wholeheartedly service for all customer around the world. Cohesion interaction force to contribute to build the linkage world economy, to compose the global economy growth new blue print. R&D, design, production and sales of aluminum die casting and right angle gearbox. 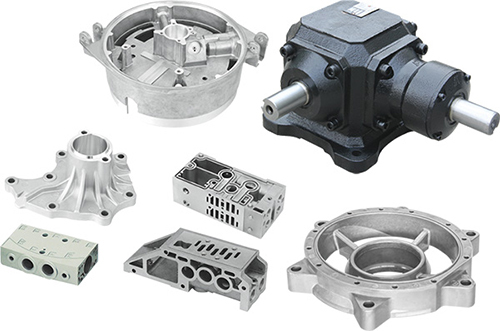 Products include pneumatic component, NF housing, Dedust housing, auto throttle body, power steering pump body, auto water pump housing and other aluminum die casting parts, right angle gearbox which are used in field of pneumatic auto-control, explosion-proof, environmental protection, auto and agricultural machinery. As long as you provide drawing or material object,we will do everything well for you.Moving great quality die casting parts to our customers faster.